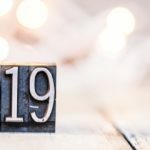 A note from Kelly King: It’s still January, so it’s still a good time to think of the new year and new beginnings. It’s a great time for evaluation, but also preparation. 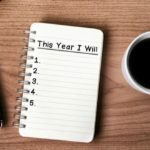 In today’s article, Merritt Johnston gives leaders a great outline for not just being productive in the new year, but doing it with a peaceful heart. It’s a powerful passage, but I would argue that it’s more of an admonishment against forming human agendas at the exclusion of divine authority than it is an indictment against planning. As I begin a new year, it’s hard not to feel overwhelmed by all the things I manage as a wife, mother, and ministry leader. The needs seem to get greater and greater, and the lists seem to get longer and longer. So is it possible for those of us striving to lead and love well to do so without sacrificing our own spiritual health in the process? 1. Prayer. If we want to avoid the human-centric, agenda-forming tendencies James spoke about in the text above, then we need to turn our hearts toward God for direction before tackling any tasks. Philippians 4:6-7 (NKJV) says, “Be anxious for nothing, but in everything by prayer and supplication, with thanksgiving, let your requests be made known to God; and the peace of God, which surpasses all understanding, will guard your hearts and minds through Christ Jesus.” Simply stated, start with Him. End with Him. Always Him. His presence dispels anxiety and provides a peace that helps protect us against the diseases of doubt, fear, and discontent that the enemy is always intent on spreading. 2. Purpose. Do you have a purpose statement for your ministry? If not, I would encourage you to prayerfully put pen to paper and write one. This is critically important because our tendency is to plan the “what” before we ever outline the “why.” When we lack clarity around our purpose, we can never have true effectiveness in executing a plan. 3. Priorities. Knowing your why will help you prioritize what is most important. Take time to outline everything that your ministry is currently doing and assess if each item on the list is truly aligned with your purpose. If it’s not, then it’s time to end it or temporarily retire it until it can be reconfigured to better match your mission. Remember that quantity of activity is not the measure of success, and busyness does not equate to fruitfulness. With that in mind, cross some things off the list. Trust me, you’ll be glad you did. The items remaining on the list that align with your purpose should then be evaluated to determine what should receive primary focus versus secondary attention. 4. Pace. What time and energy will the prioritized items on your list require? Take time to write down what will be required of you and determine if that can be accomplished without sacrificing your time with God, relationships with family, or personal health. If you’re seeing a red flag, then it’s important to consider how you can enlist the help of others or possibly delay projects until you’re in a season more conducive to maintaining a pace rooted in peace. 5. Plan. With your purpose secure, your priorities aligned, and your pace considered, then you can begin to formulate a plan. Most resolutions fail because they languish in ambiguity. Clarity helps crush anxiety, and clarity is achieved through clear steps. Evaluate what needs to be done when. Get this out of your head and onto paper or into a task management software. This will help you see the scope in totality and begin to track progress. When we can celebrate incremental achievements, we’re much more likely to press on toward the overall goal. It’s a simple prescriptive path: start with prayer, clarify your purpose, assess your priorities, evaluate your pace, and outline your plan. With God’s help, I believe peace and productivity can not only coexist but also guide you to your most fruitful year yet. No resolutions required. Merritt Johnston has been serving in full-time ministry since college when she co-founded a ministry for young women called SAGE Ministries. She has also served on staff at several churches, including four years as the Director of Women’s Ministries at Lake Pointe Church in Rockwall, TX. 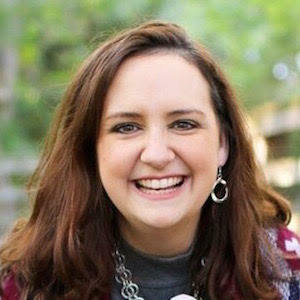 In addition to her ministry in the local church, Merritt has served for nine years as a hospital chaplain at Baylor Scott & White Medical Center in Brenham and has recently joined the staff of the Baptist World Alliance as Director of Communications and Media. She is an education junkie who has been in some form of school most of her life, the latest being the completion of a Master of Divinity from Grace School of Theology in May 2018. Merritt and her husband, Jeremy, make their home in Brenham, TX, where they are currently raising three rambunctious children and a renegade dachshund.